Many fifty-something mybrightonandhove bloggers, will like me remember, cold, dark, wet winter Saturday afternoons, in front of the coal fire, waiting for the football results to appear like magic, from an extraordinary machine, whose strange printer head, bobbed up-and-down, doing mostly nothing, and then suddenly burst into life and printed the result we had been waiting for! Most people from Brighton however, will be totally unaware that the teleprinter that brought the results was manufactured in Hollingbury! 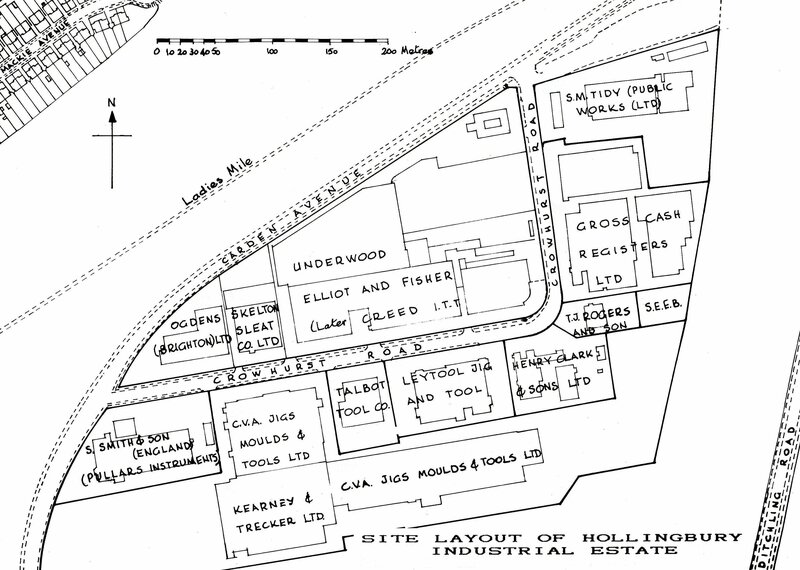 The Hollingbury Industrial Estate, developed in the post war period, has had a long established association with keyboard machines. 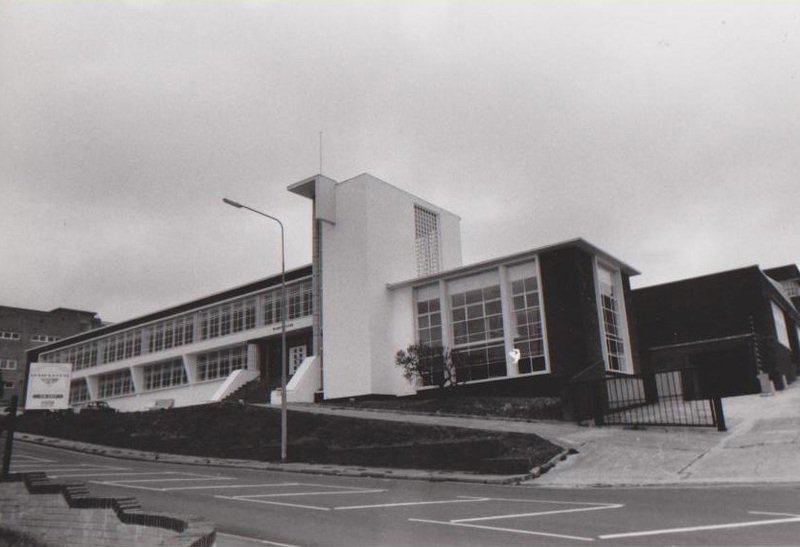 One of the first factories built on the estate for Typewriter Sundries Ltd, was completed in 1948. The building was taken over in the late 1950’s by the North London company, Gross Cash Registers. Gross Cash Registers had their most successful period during the 1971 switchover to decimal currency. This was due to one of the two founding brothers, Henry Gross, who managed to invent a machine with the ability to instantly switch from £sd to £p during the changeover. In the mid 1980’s the company was badly affected by competition from Japan and was eventually sold to Chubb. Another one of the original factories built on the estate was for Underwood Business Machines, part of the iconic American Underwood Typewriter Company. Manual typewriters, as used by thousands of secretaries, journalists and writers, were manufactured on what is now the north side of the Asda car park during the 1950’s. Adjacent to Underwoods was Elliott & Fisher; they had been part of the Underwood group since 1927 and produced related book typing equipment. Although it can’t be said that Frederick George Creed invented the teleprinter, the name Creed was to become the most widely recognised as teleprinters and associated technologies evolved. Creed was born in Canada in 1871, where he taught himself telegraphy. 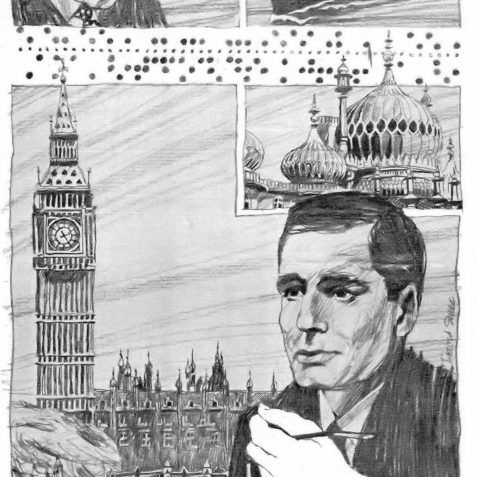 The long hours spent gripping the Morse code key caused permanent damage to his right hand. He thought that there must be a better way to transmit information. 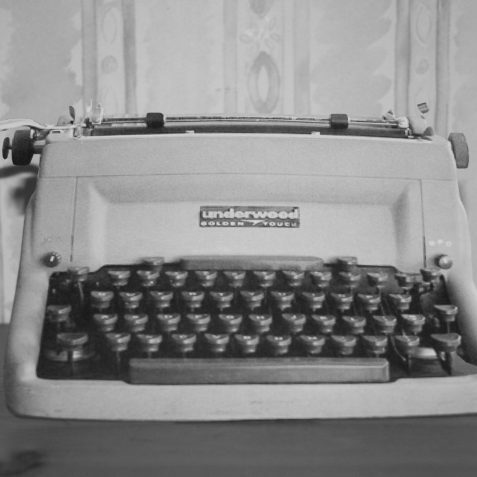 Creed moved to Scotland, and by modifying a second-hand typewriter he produced his first keyboard perforator, which used compressed air to punch holes in paper tape. Creed also created a receiving perforator, to punch incoming signals, which were then decoded and printed as alphanumeric characters. This was the origin of the Creed High Speed Automatic Printing System. Creed’s first order for the new machine was from the Post Office in 1902. By 1909 he had set-up a factory in Croydon and soon won an order from the Daily Mail newspaper to use his system to transmit the entire contents of its paper between London and Manchester. In 1928 Creed & Company Ltd became a British subsidiary of the American company International Telephone & Telegraph Corporation (ITT). 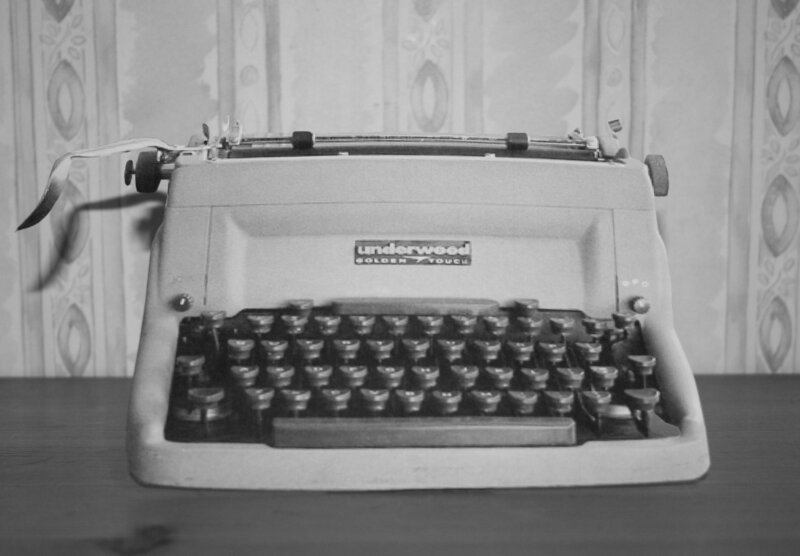 In 1959 Olivetti bought controlling interest in Underwood; the merger was completed a few years later in 1963. Up the A23 in Croydon, Creed had expanded since 1909 and were now located on 4 different sites in the area. The largest, close to East Croydon Station, was hemmed in by roads on all 4 sides; there was no possibility for further expansion. 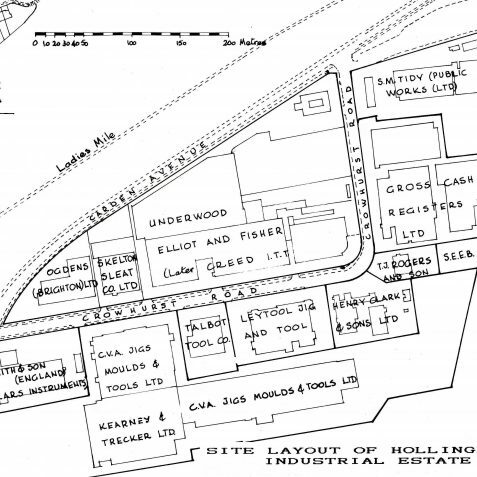 The Company wanted to move to a new site, adjacent to Croydon Aerodrome at Wallington, where they would build a purpose built factory, with room for expansion. Luckily for Brighton the necessary planning consent with the local council failed. Back down the A23 in Brighton, where the tourism industry was still the main employer, manufacturing was positively encouraged on the Hollingbury Industrial Estate. The estate had been developed, with a mixture of building ownership between the council and lessee; the council retaining ownership of the land. Croydon’s loss was Brighton’s gain; the move to Hollingbury was gradually phased during the mid 1960’s. 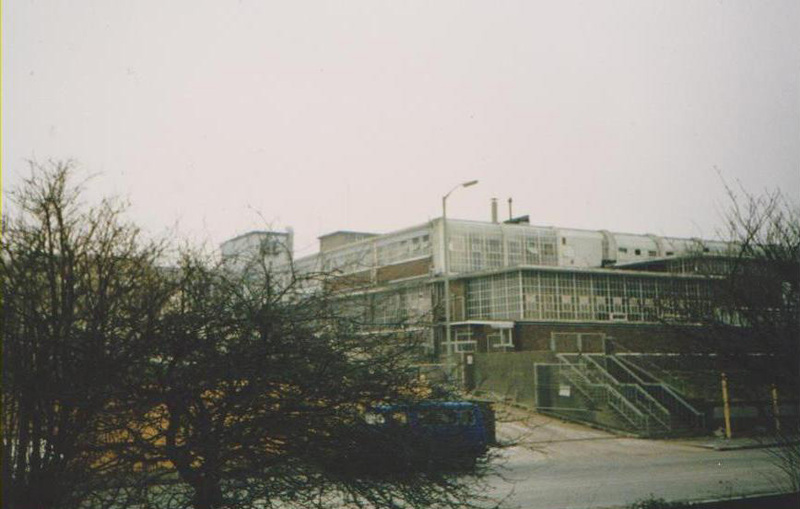 Many key workers from Croydon commuted to Hollingbury each day to set up facilities in the old Underwood factory, and ensure a smooth transition to Brighton, which was completed around 1966. Agreement was reached to employ many of the Underwood workers, who were facing redundancy. Additionally much of the old Underwood plant and machinery was well suited to make Creed components; many were very similar to typewriter parts. Numerous staff were recruited locally and by 1967 nearly 1600 staff had been employed. The workforce rose to 2000 by the early 1970’s, when ITT Creed was considered the biggest manufacturing employer in the town, bigger even than Allen West or Kearney & Trecker. At this time the teleprinter was considered the “magic messenger” with signals travelling the globe at the speed of light, communication had never been faster. 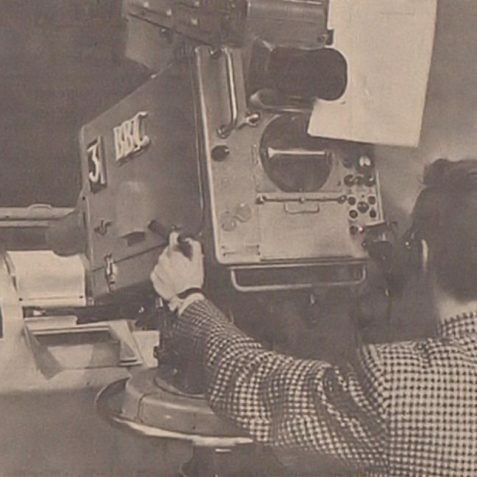 The Company’s products, manufactured in Brighton, were sold around the world. The biggest customer by far was the GPO (General Post Office) with its Telex service; enabling businessmen around the world hold printed “conversations” with each other. The list of customers included; armed forces, banking, the Press Association, Scotland Yard, transportation, steel, textile and chemical companies, the list was endless, and of course the good old BBC! In 1975 the ITT Creed name was change to STC, both Creed and STC (Standard Telephone and Cables) were part of the ITT group. 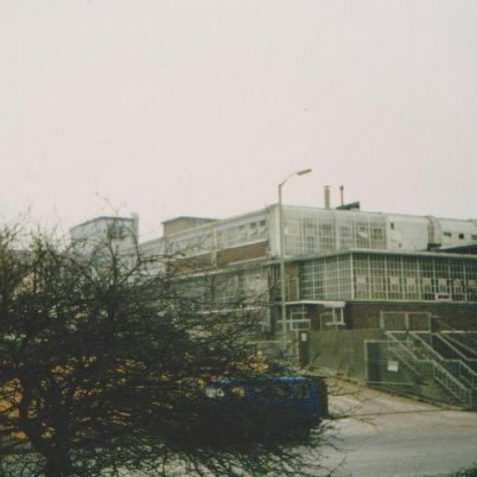 With developments in computer technology influencing telecoms, by the mid 1980’s STC seemed to lose its way and the factory closed. The Asda supermarket was developed on the site with the store opening on the 9th November 1987. 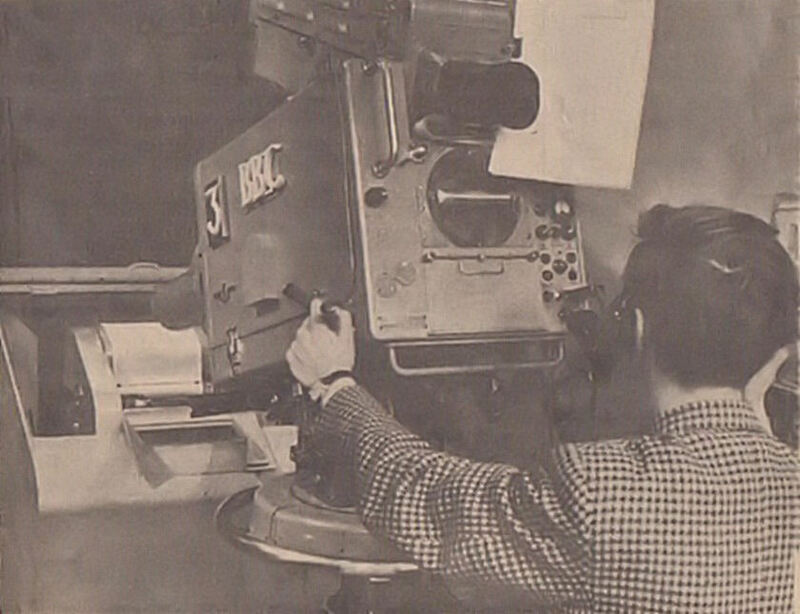 In the 1960’s, everyone who was interested in football, and probably most who weren’t, could easily recognise the in-tone sound of the voice of Australian Len Martin, who read the football results on Grandstand, however very few were aware that the machine bringing those results was made in Hollingbury, “Grimsby Town 1 – Brighton & Hove Albion……………”? I would like to thank Eric Parrott for the information he provided regarding the ITT Creed move from Croydon. Eric was one of the staff who commuted down to Brighton during the move to Hollingbury. Thanks Peter for another informative contribution about Brighton and Hove’s industrial past. I remember ‘Creeds’ as we used to call it very well, as my father Harold Brittain used to work there as a grinder in 60s and 70s. My first recollection of Creeds was the fantastic children’s Christmas parties they had in the 60s, which were always in their large canteen at the side of the factory. 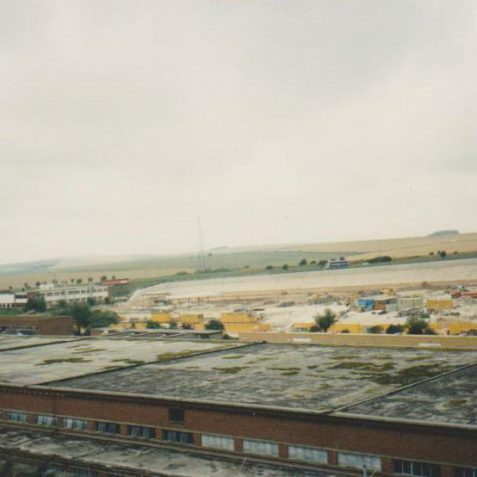 Later when I worked across the road at Kearney and Trecker, I popped in a few times to see my father at dinner time; the ground floor factory seemed to be a labyrinth of corridors and departments, so different to the large open factory where I worked. Another thing that struck me was the security; people could freely walk in to one of the many entrances at the Kearney and Trecker factory. At the Creeds factory I was always challenged by a security guard who wanted to know, who I was and why I was there, in fact I was often escorted to my father’s department. Looking back, I would imagine the telecom market was just starting to rapidly expand with new technologies in the 70s and they were very defensive of their newer products; I can now understand their strictness. Thanks again Peter for the insight and origins of my father’s workplace. I used to work at Underwoods in the late ’50s, only for a short time till I left to get married. It was Christmas 1958 when a few workers went for a lunchtime drink and the driver was killed. I worked at my previous job with his wife it was a very sad time. I was asked to go too but was picking up a Christmas present in town and declined. Thanks for this fascinating information. My father, Bill Chittleburgh, was an electrical design engineer who used to work at ITT Creeds (which he always called Creeds with an s). Having worked for ITT since leaving university after the war, by the mid 1960s Dad was working for Creeds in Croydon, where I do remember going to one of their fabulous childrens’ Christmas parties. At that time we lived in Orpington and I remember the family discussing whether to follow Creeds down to Brighton. It wasn’t until a few years later that we moved to Ringmer, and in the meantime Dad used to commute by public transport to Hollingbury, and Burgess Hill, where Creeds also had a factory, every day. By the time Dad retired from Creeds in the mid 1980’s, he had moved on from teleprinters to designing fax machines and was back at Hollingbury. Every time I go to Asda, I try to visualise which building Dad worked in, I’m sure it is where the police now are. I also worked for Creeds as a press setter and later in the fine blanking department as senior setter. I enjoyed working there - always on night shift. I always found the men on the shop floor were great and I made some great friends during my employment there. Those of you who worked at Underwoods in Hollingbury in the 50s and possibly the early 60s may remember my aunt, Dorothy Jorden, known to most people as Do (pronounced ‘doe’). She was the Welfare Officer at Underwoods, and had to wear a crisp white coat at the office, which could not have been very approachable for anyone wishing to talk to her about a personal or work related problem! She walked over the Downs each day from her home in Patcham, where she also looked after her mother, who was suffering from cancer. Every December she would be very involved in the company’s Christmas arrangements which were the highlight of her working year. She sadly passed away in 1990 after complications from having a leg amputated following blood clots. How lovely. I wonder if this girl really worked there or if it was a cute advert. It could be me … or any of my friends … we all looked like that at one time! I worked for Underwood’s, Grosses & Creeds, also spent a little time before Grosses in Pullers, I worked as a riveter at Underwood’s next to the press shop, I loved working there we were like one big happy family. We used to have a sing song and I think it was Wednesday afternoons we could bring in a record and they would play them for us. Like most of the others, my little girl Vicki used to love the Christmas parties. Our setters’ names were Syd Rainsford and Laurie. I had a mate in the press shop called Roma and on Friday nights we used to go to the Underwood’s Club and have a bit of a dance – when they made us redundant it was like losing part of your family. I joined Creed & Co Ltd in 1963 as a student apprentice and the company sponsored me through University. I used to visit Telegraph House in Croydon and although I always entered by the front door I was never allowed to leave that way. I recall that swearing on company premises was frowned upon and proper dress was essential even then. I was for some reason the only apprentice paid in pound notes each week; the Brighton student apprentices were paid directly into their bank account! I did my industrial year at the Purley Way site sandwiched between the gas works and the sewage works. When the company moved to Brighton I commuted from East Croydon station. I caught the earliest train of the day and never paid in the car park as I was too early arriving and too late leaving. We had a very rickety bus to collect us at Preston Park which had real trouble climbing the hill to Hollingbury and even more so braking on the run down. I took my old Ford Popular down some days and recall parking on the rooftop in the snow and finding the whole engine compartment full of snow. Creeds made their teleprinters with a soft Mazak casting. The fitters on the shop floor gently tapped the bearings with a mallet and a wooden block until they ran smoothly. Very few of these skilled men went to Hollingbury and the local employees could not do this so well. I was told that Creeds stockpiled teleprinters for months until they redesigned them with screw adjustable bearings. This allowed Siemens and others to gain lucrative GPO contracts and hastened the demise of the company. By then I had joined the Defense Department under Graham Stevens and Robert Ford which ultimately relocated to the ST&C site at Foots Cray. I worked at Creeds from 1975 to 1985, in my time there it was Creeds; ITT Creed; STC Creeds and STC Telecommunications. I first started in the machine shop on the milling machines, George Beevers was the manager at that time but I found the work tedious so I moved up to assembly and spent six years on the ‘444 Teleprinter’ type baskets. I liked it as it was working with my hands and actually building something, the 444 was a wonderful machine that used to make a hell of a racket and the men in the room where they had to continually run for over 24 hours had to wear ear protection. Eventually, the demand for the 444 went down so I was transferred on to the fax machines. I can’t remember the name but I do remember the horrible smell as the pen used to burn the paper as the image was printed. It was a bit basic but ‘cutting edge’ at the time, this was 1980 and I asked my foreman one day if we would ever have colour faxes and his reply was ‘Not in my lifetime sonny and maybe not in yours either’- I was 23 at the time. I didn’t realise it at the time but it was a great place for a youngster like me to work, they were good honest people and the banter and camaraderie was at a level I have not experienced in any workplace since. Does anyone out there remember these foreman/bosses John Thynne, Stan Darley, Grace Rose, Peter Pike? I worked at Creeds/STC from the mid 70s till very nearly the end in the mid 80s. The fax machine was the 3500 and 3510 and although a bit smelly due to the conductive paper it was at the time the fastest fax machine around, 2 and 3 minute transmit time (wow!). It’s only after moving on and having some pretty awful jobs I realise just what a great place it was to work. Having just reached pension age, and discovering ITT Creed owe me some sort of (albeit small) pension made me Google the name and I arrived at this page. The previous posts made interesting reading, and in particular some names stirred memories. I remember Bill Chittleburgh although I did not work directly for him, he was part of the old team in place at Burgess Hill when I joined the company. Of that time does Bob Bland ring any bells? He was boss at BH as I remember and worked closely with Bill C. Both moved to Brighton. Then there was George ?? the driver who spent his time transporting people and goods between the two locations. I was with STC until they closed Brighton and was responsible for installing the large computer system (DEC PDP11/70) that sprouted terminals all over the building, that enabled software development for their microprocessor based latest maching fax machine (whose name escapes me at the moment). Other names like Jim Wicks, Mike Taylor, Jean Thurkettle, Dave Lawday, Andy MacIntosh, Clive Jackson, Terry Bannister, Dave Broughton, Mike Knowles, and of course Mike Pierson (who I always thought was Mick) were all colleagues. Hope this site let’s me know when posts are added, this could get very interesting. My father in law (Jim Smith) started work at the Purley Way, Croydon plant during WWII, his son Alan joined straight from school in 1964 aged 16, they both moved down to Brighton in 1966, living at Seaford. Both Jim and Alan worked in the Assembley department on 444, I joined Creeds in about 1975 as a keyboard exerciser – as the teleprinters came off the end of the assembly lines myself and two dear colleagues, June Spencer and Lesley Parsons sat all day typing on the keyboard basically testing them. Alan and I met at work and married in 1979 and celebrate our 35th wedding anniversary next March (and they said it wouldn’t last!). Father-in-law Jim retired after about 40 years and Alan left about 1980 and I stayed till 1985. I was a Social Club committee member and loved to organise the childrens’ Christmas parties as well as all of the dinner dances and social events. Alan’s a keen golf player and regularly played for the Creed Golf Society. And if I can add some more fondly remembered names to the list can anyone remember: Alan Pope, Grace & Bob Rose, Ron Carpenter, Ron Williams, Jim and Betty Batchelor, John Ballard, John Weston, Pete Rozairo, Steve Edwards, Gwen Leete, John Curwin, Tony Austin, Ian Edwards, Kenny Carter, Harry Paine, Bob Scott, Jenny Milson, Eileen Hills, Joe Jenkins, Roy Bell, Peter & Eddie West, Trevor Trosh, Carol Watkins, Keith Dixon, Dave Mears, Nigel Chambers, Ron Halls. I applied for a job at the Creed company as well as another large communications company. Both sent me invitations to interviews, but I declined the Creed offer. 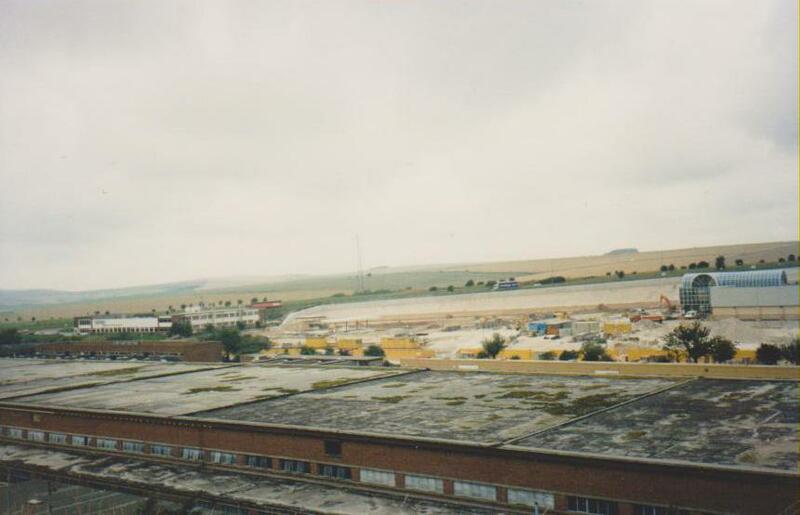 However, later in my career in the other company I visited the Creed factory on occasions to repair their internal PBX system as an apprentice with my engineer guide, and always remember parking on the roof of the factory , access gained from the top road around the estate. 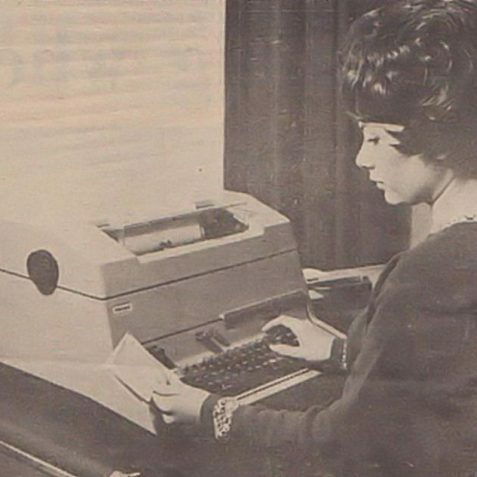 We had their teleprinters at work and I was quite interested in the workings of this “automatic typewriter”. Hi, lovely reading all your memories. My dad used to be a lorry driver, John Mcmahon, in the 70s up to when it shut down. I remember the Christmas do’s and Friday disco night. Brilliant days. ITT Creed was my first proper job after I left college. I worked in PCD (Production Control Dept) from 1977 – 1984. I was secretary for the PCD manager Richard Lister and subsequent managers. I remember Fred Hirst, Pete and Eddie West, Bruce Welton, Mike Howell and his secretary Linda Phipps, Barry Kemp, Peter Smith, Val Redmond, Andy Fisher, Cherrie Jurkiewicz, Stuart Philpott, Chris Apps. I used one of the first fax machines and every Monday morning I used to have to fax the production figures to Foots Cray. I recall the place was like a rabbit warren and you had to walk between the lines taped on the floor. Remember Jeff Laycock in accounts? He sorted out many a pay packet discrepancy. I also spent quite a bit of my wages in the employee shop. Alan Sutton. Chris Rex in the computer room. I keep remembering random names. Denise Whittaker. I have some great memories of my time at ITT / STC. Wonder what happened to all those lovely people? I also worked in Hollingbury in 1982 until they closed. I was in inspection with Carmen (Spanish) and Jean? I was their Miss ITT Creed in September 1982. I left when pregnant with my first son. I loved it there after working for Chubb Cash round the corner and Leytool before that, nearby. Today I am still working in assemblies and soldering when I get a job. I am now residing in Eastbourne with my husband of 12 years. I wish that I could remember names. I worked at ITT Creed then STC from 1978-1985 when it closed I worked in PCB department. I married Steve Harwood there, my now husband. My dad Ernie Alderman worked in the stores. He has now passed away. My manager was Roy Bell. Thank you for posting up this page. I was looking for information on Creed/ITT Creed as my Grandpa, Leonard Allnutt, worked there for many years, firstly in Croydon and then in Brighton. I’m led to believe he was the company secretary and always looked very smart in his suit. He died in 2008 aged 96. Does anyone remember him? I know he had a secretary himself and believe she arranged the amazing hand-drawn card of him surrounded by a model railway, wearing his suit and standing next to his desk. It’s been a treasured item in our family since. Along the same lines as Alan Reed’s message in 2012, I found this page whilst searching for my (tiny) old pension which becomes due for payment in May 2015. I worked at I.T.T. Creed from 1969-1972 on a 5-day, 24-hour, weekly rota, shift system in the computer room so I was mostly closeted away in the air-conditioned room and didn’t get to meet many people out on the shop floor. In my early days, I often had to walk around some mornings delivering computer prints to various people’s desks. I do remember dreading the monthly? “BOMP Netting Tab” report which ran to thousands of pages on old-style continuous paper and I wondered if anybody ever used/read it because it was so massive! Laurie ?, chief systems analyst? Daz Hughes who worked for Mrs Day but left before I arrived, he had been an old schoolmate of mine years before. Last but definitely not least, Doris who used to push the tea trolley around every morning – I always looked forward to her visit so that I could get something for my breakfast because I left home in too much of a rush to eat first. There were many more but my memory for names has never been good. When I left in 1972 my pension was worth £13.89 per annum, I wonder what it’ll be worth now? After trying to trace if any pension is due to my dad from working at ITT Creeds from 1965 for approx 8 years, I have found this page and we were very excited to see if anyone remembers him. He worked as a drill setter ground floor. He played for the football team for many years and we also remember the great social times we had at the social club after the matches and the kids christmas parties. Does anyone remember my dad John Wright and my mum Pat? Their friends were Grace and Eric Farrar Taylor, Robin and Yvonne Myers and Jean and Barry Edmonds. 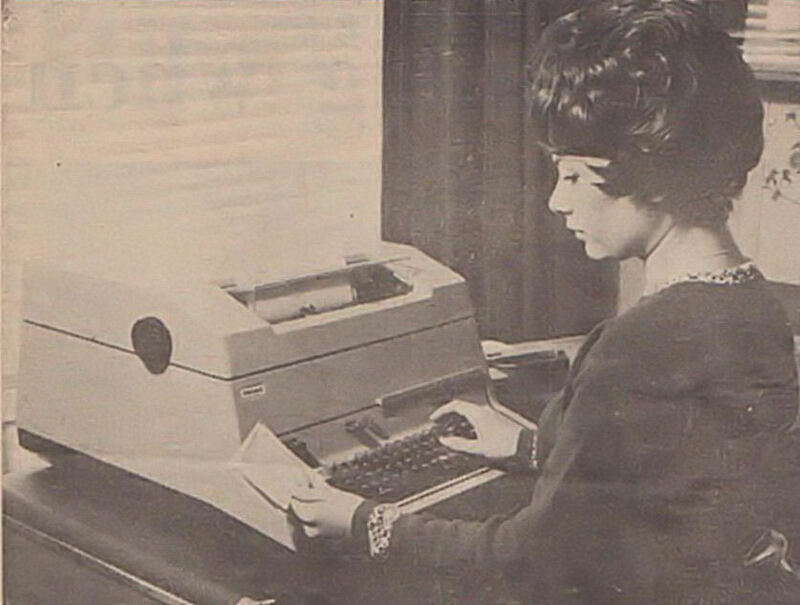 I would like to add information and a photo of the apprentices at Underwood Typewriters 1960. Hi there, this is fascinating. My Dad worked at STC up until it closed around 84/85 and I remember him showing me linked computers that could instantly message each other way back in the early 80s. I am looking into the pension issue mentioned here, and if anyone has any advice or pointers I would be very grateful. I started in 1970 as an apprentice in the tool room right up to 1984. Great people, best days ever! Alan Spain, Peter Robinson, Ray Vardy, Bob Pokinghorn, Phil Hunt, Dave Shailer, Freddie Fogden, Ron Puckeridge, Mick Hollingdale, Bruce Barnes, Terry Wilkingson, too many to mention! Brilliant times! Great social club! Football, etc! Lots of strikes over pay or conditions, but one hard working team of employees who enjoyed many happy times in the 70s & 80s! Best job I ever had! Great company! I started my apprenticeship with Gary, left in ’78 after 4 years in R & D. I was known as Taff, still having a strong Trefforest accent. I trust you are well Gary? It was a special place and time with some great people and characters. You don’t get so many characters in a workplace anymore. Politicians put and end to that. I still keep in touch with Steve Halls. Sadly another apprentice, Ian Baker is currently missing at sea, 4 years now. Amazing days here – worked there from 78/85 in many departments. Ron, Keith Bennett, Eddie Windows, Trevor Standing, Tony, Fred, John Whitton, to name a few. My Dad, Don Tessier, worked at Underwoods and at Creeds until the early 1980s, eventually working at Foots Cray after STC left Brighton. He met his wife, Pat Smith as was, at Underwoods through the Social Club at Underwoods. I remember visiting the factory on several occasions and seeing all the teleprinters being tested by endlessly printing out the quick brown fox jumped over the lazy dog. It was very noisy! My Dad always used to say that he might have made the teleprinter used on Grandstand. I also remember going to some of the kids’ Christmas parties in the early 1960s. I also remember the cricket team from Creeds that used to play at Friars Oak, just north of Hassocks. Names such as Stan Dawtrey, Gordon Weatherspoon, John Langley, Ken Deaville and Rod Hornet, are some that I can recall. Whilst never having worked at Creeds I have all kinds of “contacts” with this site. My father-in-law, Pip Piper, moved from Smiths in Cricklewodd to manage the Pullars Instrument factory on the east end of Hollingbury estate till it closed in 1967(?) and was taken over by Creed. Earlier (1963) I worked in the Stevenage laboratories of ICT and one of my first tasks was to design and build a kit to convert Teletype tape printers to enable electronic reading and punching. I later moved to Miles Electronics in Shoreham and after 15 years moved into sales with Digital, including selling several PDP11/70s, an excellent machine in its day. My daughter recently introduced me to a friend of hers whose father, Tony Rotheram, worked with me at Miles and moved to Creed. I thought of joining him but it wasn’t quite as interesting as playing with flight simulators for a job. To this day one of my wife’s closest friends is Pat Giles who was a secretary at Creeds for several years. My memory really is departing fast! It was Tony Lancaster, not Tony Rotheram. Wrong county, wrong city. My late wife Jean Wickham worked in spares office with Derek Etheridge and Sue. Does anybody remember her? I started here in 1956 straight from school. At that time the building was very cleverly designed. Partition walls were metal and glass, the base of each located on runners set in the concrete floors. These partitions could be moved with reasonable ease to increase or decrease the size of each production or office area. The original building consisted of two storey north and south wings. Access to both wings was by way of the adjoining building to the west side. 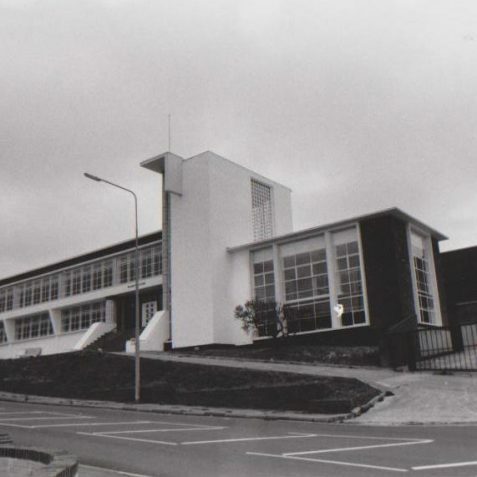 This housed a spacious canteen, undercover car-park for managers and the maintenance department. The open area within the ‘U’ shaped layout was laid to lawn surrounded by a flower border. Compared to other factories this was pretty luxurious. At the time of its build, it was rumoured that the whole building could be converted into a hospital if another war broke out. I must emphasise that this was only a rumour. Most of the departmental managers were German, the names Reichter and Schneider come to mind. Shortly after I started there, the company was taken over and re-named TS Precision Engineering (TSP Ltd). The Managing Director was a Col.A. Nixon. On his arrival we were all assembled in the canteen where he addressed us with the promise that all employees would earn enough money to buy their wives a fur coat for Christmas. He also stated that redundancy was not in his vocabulary, then guess what. I left TSP in 1961 and went along the road to Pullars Instruments, ending up as a draughtsman. I then returned to the above building which had then become Gross Cash Registers. Due to the impending currency decimalisation, the building had been enlarged and sadly wrecked. Still it did give me employment up to the demise of Chubb Integrated Systems Ltd. And for a brief period I was given the title of Chief Draughtsman (possibly because I was the only draughtsman left there). Thank you Peter for posting the above picture.